In a recent article analyzing the lab-grown diamond jewelry market, diamond analyst Paul Zimnisky claims that the market is expected to grow at 22% annually to $5.2 billion by 2023 and to $14.9 billion by 2035. Here are some key takes from his article. Gem-quality lab-created diamond production for use in jewelry now exceeds 1.5 million carats of polished stones annually. In the last 2.5 years, price of gem quality synthetics sold as jewelry have dropped by 30%-40%. Once De Beers launches its synthetic diamonds, they would be offering to sell “at an estimated 65%-80% discount to current generic lab-diamond market prices”. The growth in the lab-grown diamond jewelry market equals a long term growth rate of about 9%, reaching $14.9 billion by 2035. According to Zimnisky, this growth will be driven “by the continued advancement in lab-diamond production technologies”. Still, according to his analysis, the natural diamond industry has not much to worry about: Lab-created diamonds currently represent only 2% of the diamond jewelry annual $87 billion market. 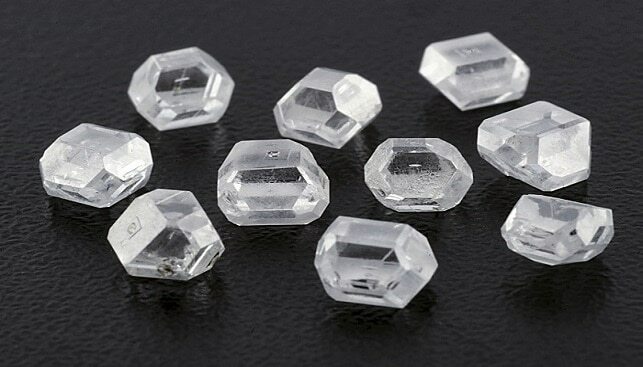 “Natural diamonds are expected to continue to represent the large-majority of this market well into the future”, says Zimnisky, despite the expected market share represented by lab-created diamonds, which “is forecasted to grow to 3.4% by 2023 to 4.5% by 2035”. The fashion jewelry market (jewelry set in sterling silver or a lower-quality metal including non-precious gems such as ruby, emerald and sapphire) is estimated to be almost $40 billion annually. Here, lab-created diamonds are currently estimated to represent less than 1%. This, he says, will grow to 3% of the fashion jewelry market by 2023 and almost 7% by 2035. At the conclusion of his analysis, Zimnisky says that given the scale of production capability, “it is reasonable to assume that longer-term, the supply of lab-created diamonds is boundless and the price of generic goods will be set by the lowest-cost producer, ideally fit for the fashion jewelry market”. As for competition with the natural diamond jewelry industry, this will come from the higher-price-point lab-created “built around successful brands or unique jewelry designs”.